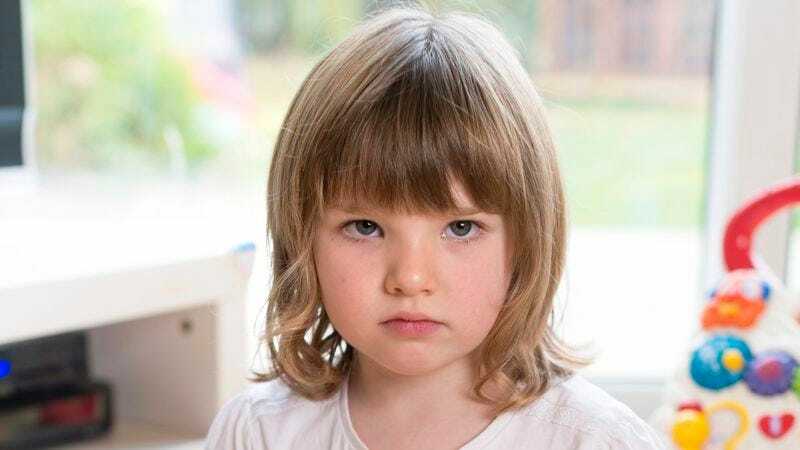 Experts say the remarkable preschooler displays levels of shame and self-loathing on par with most high school freshmen. LANCASTER, PA—Observing that she is way ahead of other girls her age, sources close to precocious 4-year-old Tessa Davison confirmed Wednesday that she already feels completely terrible about herself. Davison’s parents and teachers told reporters the exceptional preschooler has already begun to think of herself as a completely worthless person who will never be as smart or likable as everyone else, a mindset, they were quick to point out, most girls don’t start developing until middle school. Though Davison only started paying close attention to her personal weaknesses recently, reports indicate the 4-year-old has nonetheless developed an extraordinary ability to stress out about the number of friends she has, the kinds of clothes she wears, and whether she is disappointing everyone else in her life, skills that typically take years for children to master. Moreover, Davison’s parents noted that their daughter is constantly developing astonishing new anxieties about herself every day. According to relatives, when Davison was only 3 years old, she was already using words like “repulsive” and “incompetent” to describe herself. A year later, they said, she routinely locks herself in her room and scrutinizes herself in front of a mirror, refusing to come out because she feels ugly. Sources speculated that at this rate, Davison will likely conclude she is an inherently unlovable human being whose opinions do not matter and who is wholly undeserving of affection as early as age 9 or 10, far earlier than most girls do. “You don’t see many kids in pre-K capable of shaming themselves on a sixth-grade level the way Tessa does,” Dunn continued. According to child psychologists, Davison is indeed advanced in her emotional development, often talking quietly because she thinks her speaking voice sounds weird, or quitting activities she enjoys because she’s afraid she will embarrass herself. Studies show most girls don’t start throwing away half their lunch because they think they’re too fat until adolescence, but Davison is said to already be skipping snack time with regularity. Experts emphasized, however, that while Davison has a developmental head start on her peers right now, her classmates will still catch up to her eventually. When reached for comment, Davison’s father, Kent, remarked that he was surprised by how quickly his young daughter was changing.